Sizzling Sheet Pan Mongolian Beef, a tantalizing dinner you’ve got to try! “Sheet Pan Dinners” are all the rage this year. Have you noticed? Some sheet pan recipes I see make a lot of sense. Others not so much. There is a time and place for cooking an entire meal on one single baking sheet. However, sometimes using a skillet or sauce pan is arguably a better method, regardless of the current trends. Savory spicy stir-fried Mongolian Beef is traditionally cooked in a large wok over an extremely high heat flame. Yet what if you don’t own a wok? Well then, a sheet pan is the next best thing. Truly! 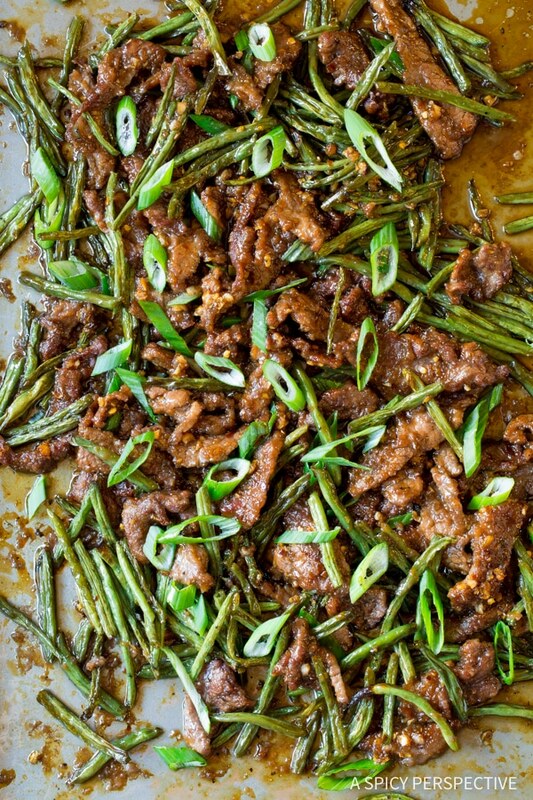 Today’s Sheet Pan Mongolian Beef is a classic restaurant-style recipe with roasted green beans and scallions. Of course, you can make this recipe over the stovetop in a large wok. 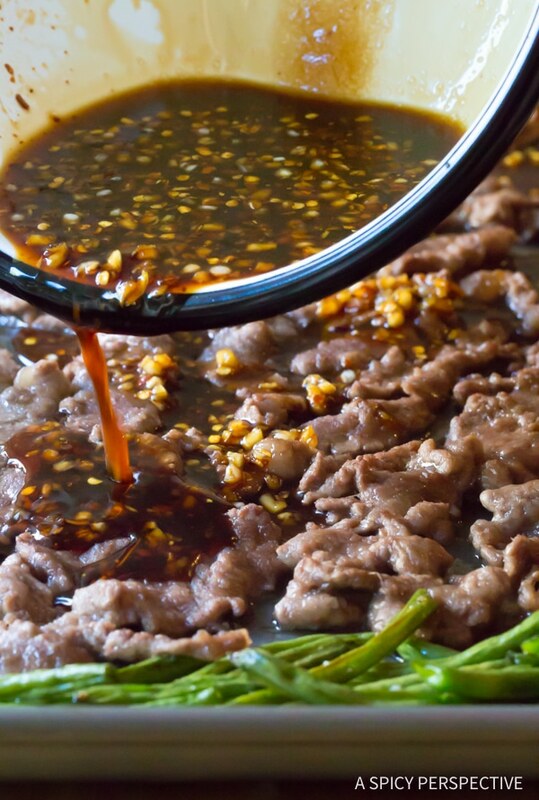 Yet if you don’t own a wok, or simply don’t want to stand over a steamy pan this time of year, Sheet Pan Mongolian Beef offers the same flavor and soft beef texture, with crispy edges, as the wok method. Roasting the beans and meat in a single layer in a hot oven emulates the wok method perfectly. To make Sheet Pan Mongolian Beef start by shaving flank steak into thin strips and tossing them with cornstarch. Roast the green beans for 5 minutes by themselves. Then move the beans to the sides of the pan and lay the steak out in a single layer. Roast again to crisp the steak. Then pour a sticky-sweet soy glaze over the top with garlic, ginger and crushed red pepper. Roast the Mongolian Beef for just a few more minutes to let the sauce bubble and season the meat. Done! Sheet Pan Mongolian Beef creates less mess, tastes amazing, and keeps the heat in the oven and out of your face. Those are pretty good reasons to use a sheet pan! Check Out Our Sheet Pan Mongolian Beef Video Below! 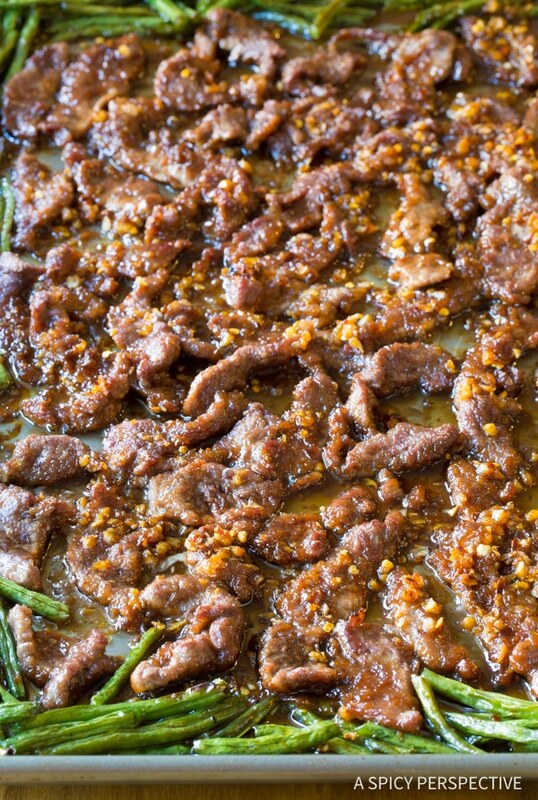 Sheet Pan Mongolian Beef Recipe – Don’t have a wok? No problem! 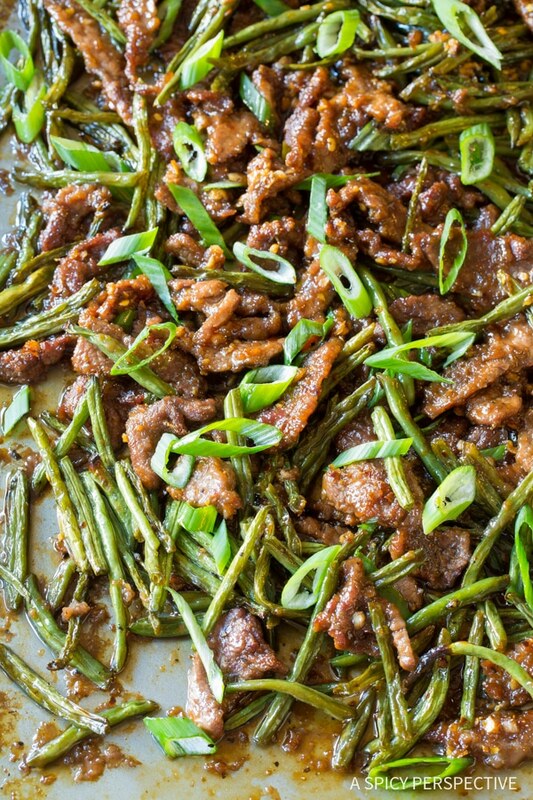 Make amazing Mongolian Beef with sizzling green beans on a baking sheet! Preheat the oven to 450 degrees F, convection if possible. Slice the flank steak against the grain into thin slivers. Then toss the strips with cornstarch. 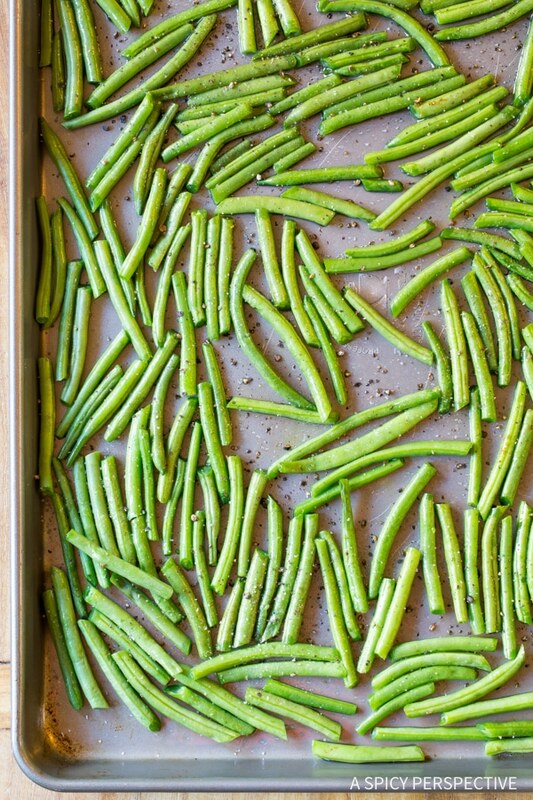 Spread the green beans out on a large rimmed baking sheet and drizzle with 3 tablespoons melted coconut oil. Sprinkle with pepper. Roast the green beans for 5 minutes. 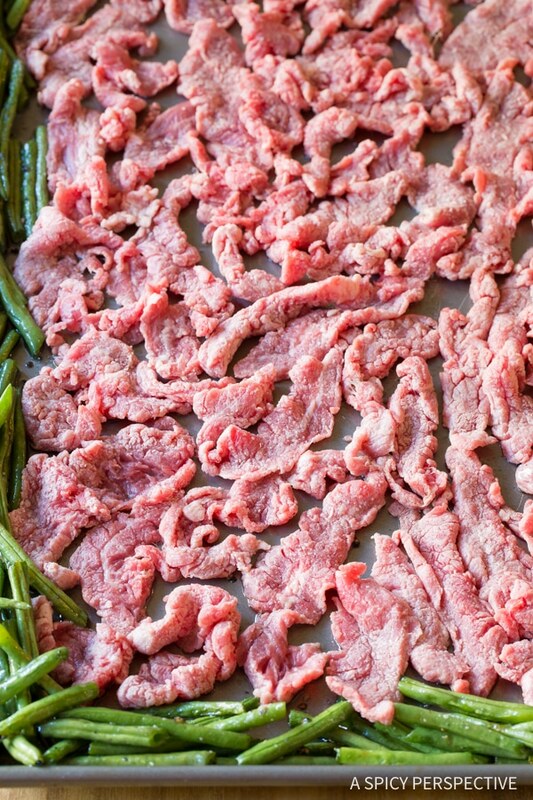 Move the green beans to the sides of the pan, and spread the flank steak slivers across the center in a single layer. Drizzle the steak with 2 tablespoons coconut oil and roast in the oven for 8 minutes. Meanwhile, whisk the ginger, garlic, soy sauce, brown sugar, sherry and crushed red pepper together. Remove the sheet pan from the oven. Pour the sauce over the top of the steak. Roast again for 7 minutes. Then toss the beef and beans together and sprinkle with chopped scallions. 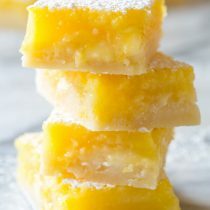 I’m doing Keto, do you think the Lakanto monkfruit brown sugar would work as a substitute? Honestly, I haven’t tried that so I couldn’t say… Any KETO ninjas out there that can answer Ashlee? Green beans mixed into Mongolian beef? What’s agood substitute? this Mongolian Beef is magical!! I had the recipe sitting around the kitchen for a long time – I’m so sorry I didn’t try it earlier. Going to try it with chicken next time. 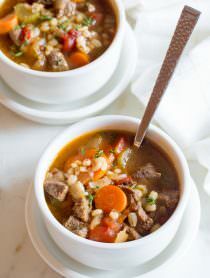 BTW, Aldi has a thin-sliced beef tips package that I used to make this. 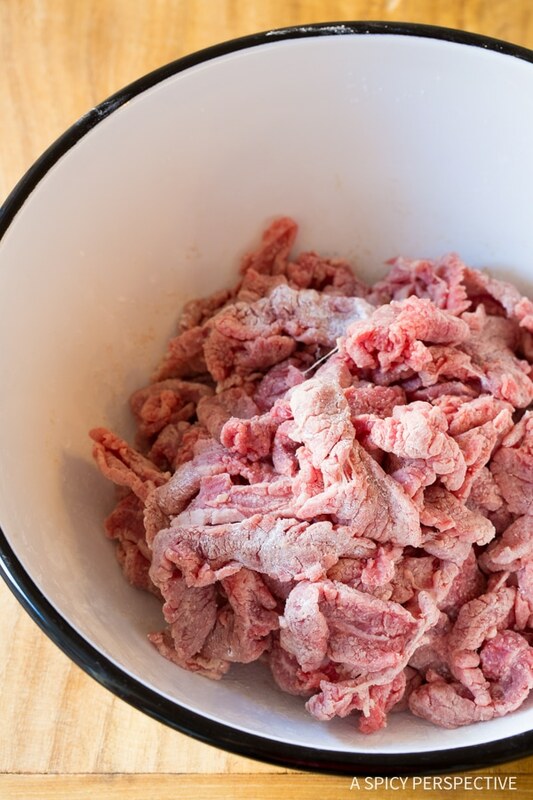 Very tender and easy – just have to cut it up into smaller pieces. Thi she was absolutely amazing! 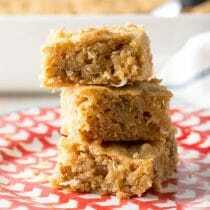 I have tried a couple of your other recipes and they are yummy! 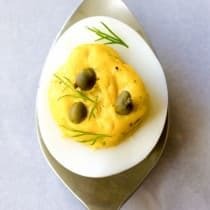 You have easily become one of my favorite food bloggers. This was fantastic! The sauce is SO good. I’m making it again tomorrow. Started stocking up on flank steaks at Costco and freezing them for later, but this is so far the only thing I have made with it, because it’s really good! It’s my first sheet pan dinner and I actually had a bit too much meat but it fit just fine and was pretty tender. I read online elsewhere about slicing it across the grain of the meat so we’ll do that tomorrow and see if it’s even more tender. Thank you! I’ve saved a ton of your recipes now. I made this last night for dinner. I served with leftover egg noodles lightly sauteed in vegetable oil with green onions. Big hit with the family, my husband even commented on how nice it looked on the pan. Thank you for an easy, delicious meal with a pretty presentation. 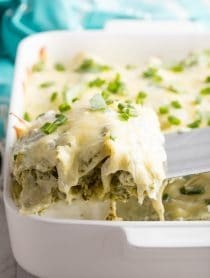 This sheet pan recipe was unbelievably delicious!! Followed each step – only replaced asparagus for green beans and added onions & baby Bella mushrooms. Sauce was out of this world – rice would be perfect compliment – but we’re watching carbs! Maybe cauliflower rice?? 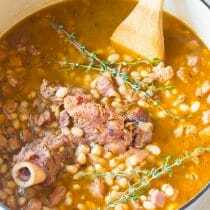 Many thanks for this fabulous recipe!! This was the closest Mongolian Beef that we have had since our favorite restaurant closed about 1 year ago. My husband fell in love with it. The hardest part about it was not eating the whole thing (there are only two of us!) I had fresh broccoli and used that instead of the green beans and the next time, I would use a little less brown sugar (but that’s me), my husband said it was perfection the way it was!. So thank you for sharing this recipe. This was SO easy to make and delicious to eat! My husband and daughter loved it, too. I bought some thinly sliced boneless steak which was a manager’s special (expiration date was about up)…got little over one pound for about $3.50. I would get a thicker cut of steak next time but this did the trick for today. Prep was done earlier today while the others were at school and work, so I only had to put everything on the sheet pan when it came time to start cooking. Thank you for an awesome, delicious, easy recipe! I will definitely make this again! Thanks for this. 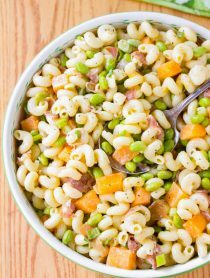 I tried this recipe today and loved it ! Flank steak is expensive… do you think another cheaper cut of meat like a sirloin roast (when it’s on sale) or something like that might work just as well? Have you ever tried? This sounds awesome. I’ve only made it with flank steak, but it’s definitely worth trying with sirloin. If you do, please let me know how it turns out. 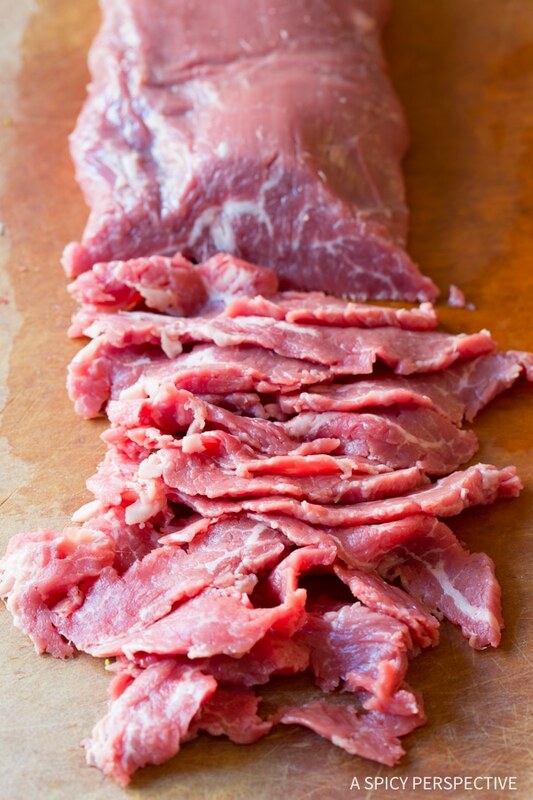 PS – Flank steak is sometimes mislabeled “London Broil” and is less marbled. It’s not the same cut of beef, but will work in a pinch. I made this last night and it was great! My husband was very pleasantly surprised. He wasn’t sure what he was getting. I will be making this again. I didn’t have sherry so I looked up a substitute. I used apple cider vinegar, but less of it, as was recommended. What kind of oil can I use in place of coconut oil. I never buy coconut oil and don’t want to buy it just for one recipe. Can I use something else to substitute the Sherry or can I just leave it out? My brother had the Mongolian beef from P.F Changs and I’ve been looking for a good recipe to make and this one’s looks good and is easy. I did not have sherry so I did a quick google and used what I did have, which Marsala cooking wine. It tasted very delicious with that substitute!